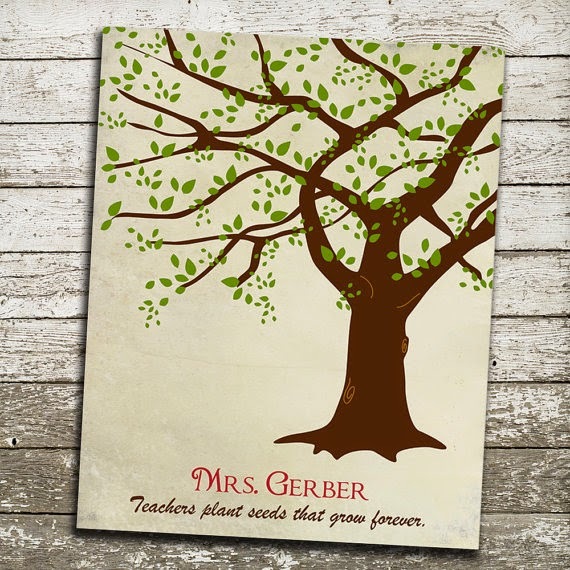 This week's Supportive Saturday will feature both teacher appreciation and Mother's Day ideas from Etsy. 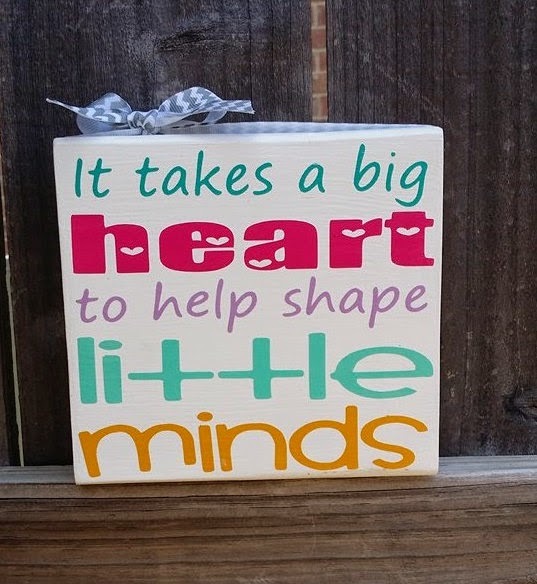 :) Did you happen to make a gift for your child's teacher this week? I didn't have much time for that and I'm a huge procrastinator but a simple card would do. 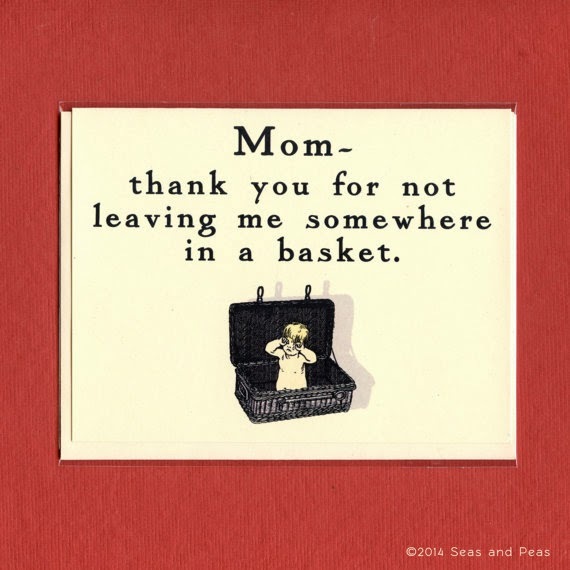 Did you get Mom her gift yet? There's still time! And maybe you can find some inspiration here. What thoughtful wall art (think: classroom wall hopefully)! And the personalization is a nice touch. This is available from thePurplePear on Etsy. A cute little gift for teachers. This wooden block is in the ExpressionistaB Etsy shop. 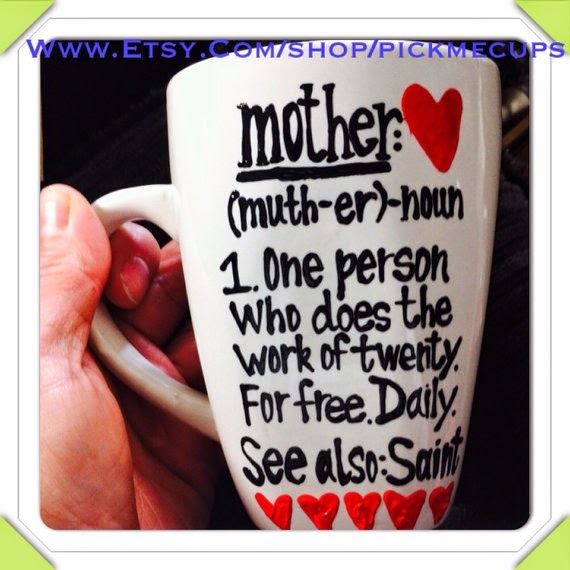 A mug that shows appreciation for all the moms do. :) It's at the PickMeCups Etsy shop. How funny is this card? I love this idea and I learned this is a local Etsy artist! Yay for that. And it was hard choosing which one because there are tons of cards that are fun! You can find it at the seasandpeas Etsy shop. 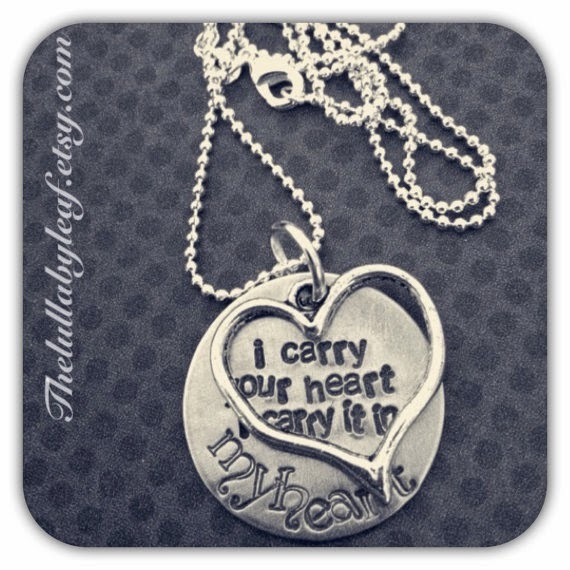 I love this quote and to find someone made it available in a necklace was awesome! It's available from TheLullabyLeaf . Did you get inspired? I hope you did! Have fun browsing on Etsy! :D There are so many ideas out there regarding Moms and teachers! It was hard to just choose a few. Hi Christine! Thank you so much for featuring a print from my shop The Purple Pear! :) You have a sweet blog and I'm honored to be featured here. Hi Christine! Thank you for featuring our cute little block from Expressionista Boutique! It is such an honor for something from my little shop to be featured in your blog! You're very welcome, Angela. :) Such a cute shop! you're welcome! :) Lol, and thank you!